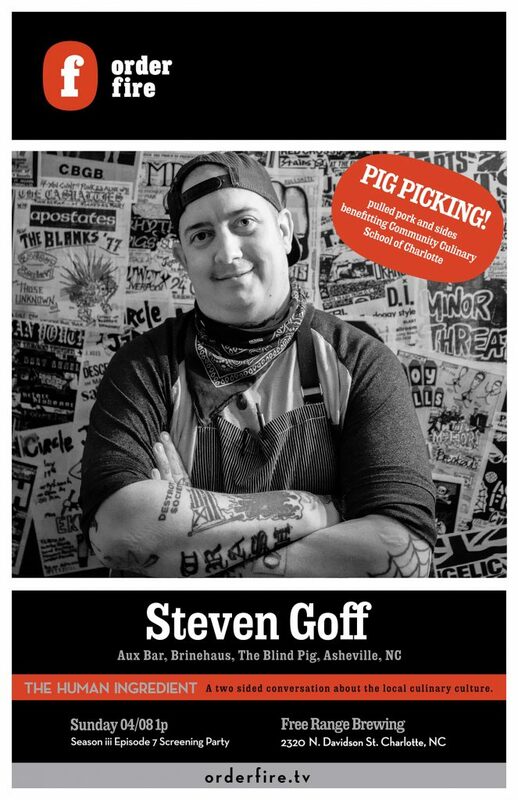 S3E7 Chef Steven Goff and our third Pig Pickin’! It’s April, so it Pig Pickin’ time! This is our third one with our partners at Free Range Brewing. We also will be premiering our latest episode ft. Chef Steven Goff of Aux Bar in Asheville. If you haven’t been to one of our pig pickings, then don’t miss this one, it is a great time! Pig pickin’ to follow the screening! Doors at 12, social hour at 1, screening 2-ish, BBQ right after.